One of my favourite things to eat has to be pork, Asian style pork to be specific, so when I heard that Satay Bros opened up a location on St. Jacques O, I knew I had to visit. On a particularly beautiful Friday afternoon, my Father and I trekked down to the St. Henri area to feast on some yummy porky treats. The restaurant is small, approximately 25 seats, and setup cafeterias style where tables are shared with fellow diners. We came at the perfect time as a table quickly opened up and we were seated almost immediately. We ordered the Laksa soup, pork satays with peanut butter sauce, green papaya salad and pork belly steamed buns – a little of everything. 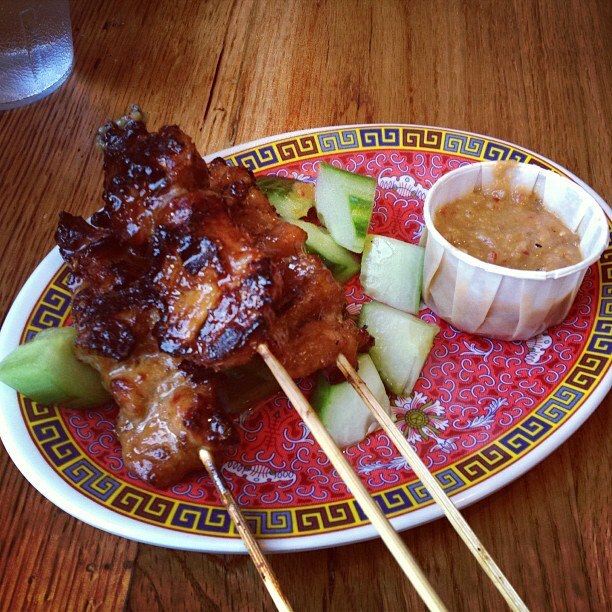 We were first served the pork satays and cucumbers which we thought were absolutely delicious, grilled tender pieces of spicy and gingery marinated pork served with a savory and spicy peanut sauce. I truly enjoyed the savory/spicy house made peanut butter sauce, a really nice change from the generic sweet version that most places serve. 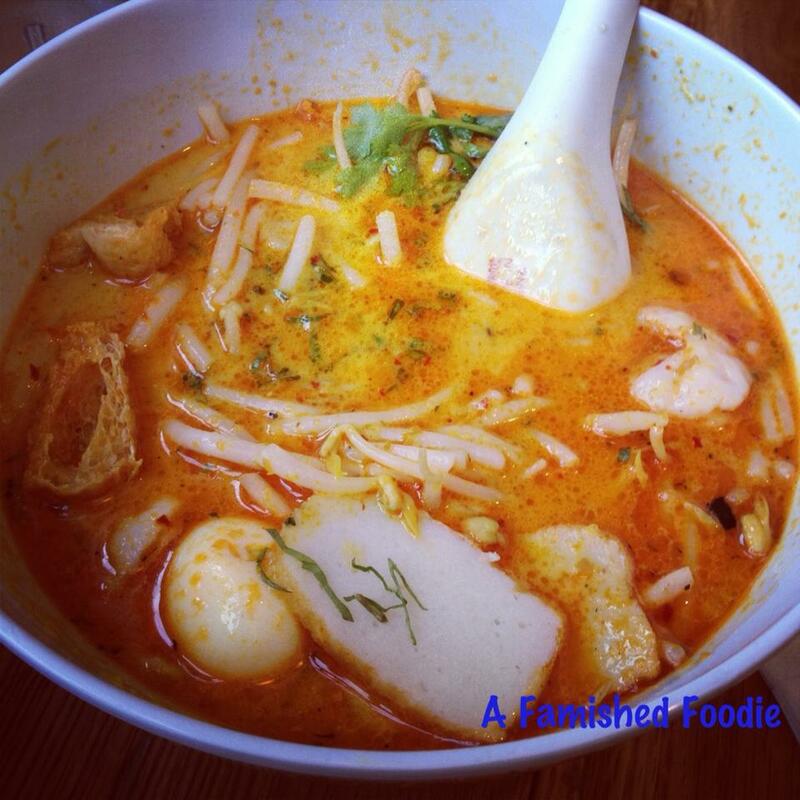 After licking the satay plate clean, we were served the spicy and oh so delicious Laksa soup. The spicy sambal chili flavour was balanced perfectly with the creamy sweetness of the coconut milk. A really special soup, better than any I have ever had. My father was not sure at first bite, but by his fifth he decided it was one of the best soups he had ever eaten, and he’s eaten all over Asia – a real Asian food addict. The contrast of textures also made this soup a real delight. The crispy tofu, delicious fish cake and quail egg complimented the flavours of the soup perfectly, and those yummy noodles – just perfect! A must try for any spicy food lover. The shredded green papaya salad and the braised pork belly steamed buns were the perfect ending to a perfect lunch. The fresh crisp citrus flavour of the papaya salad tamed the spice left over from the soup and allowed the braised pork and hoisin flavour to shine through. 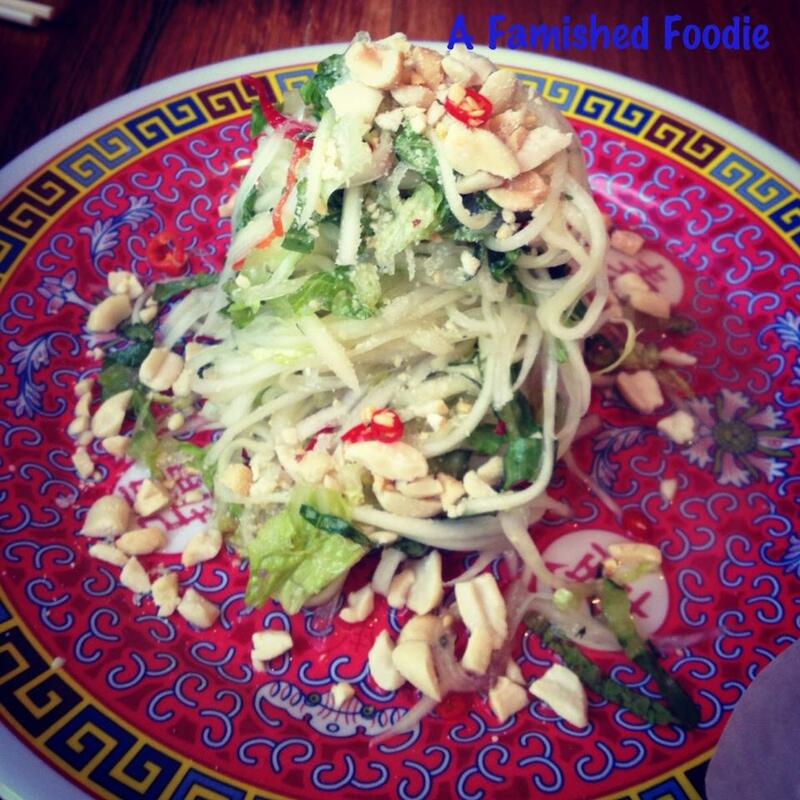 The papaya salad had lots of flavour and the Thai basil was the perfect touch to this dish. 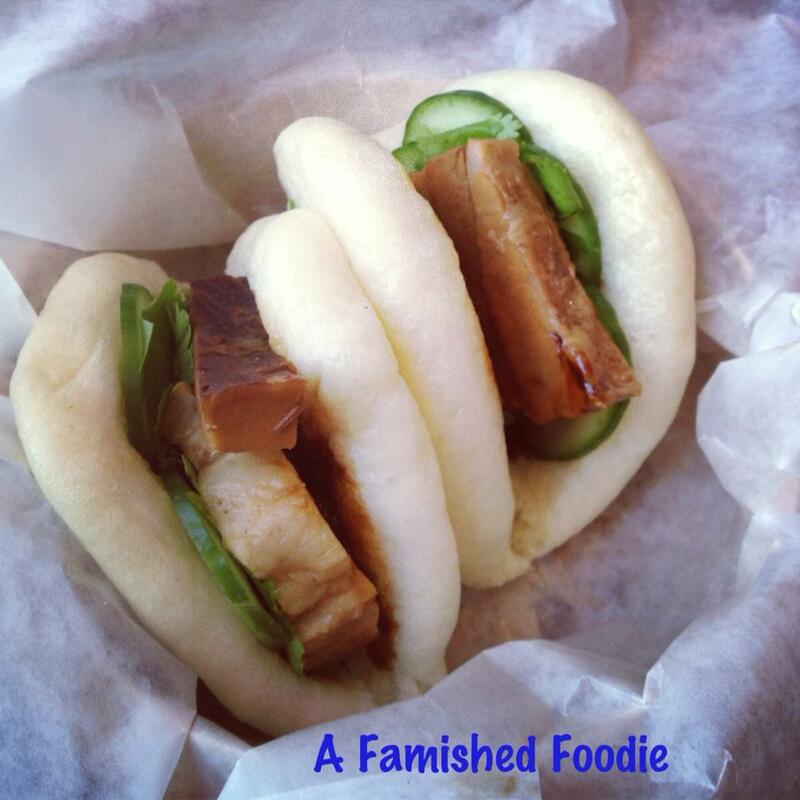 The braised pork belly was tender and delicious, and the steamed bun was fantastic. I do not know which dish I liked the most, but I do know that I cannot wait to go back and enjoy it all again and try some other delicious creations.